So, I talk to people a lot about their mobile devices. One of the things I hear quite often is "Apple only gives me 5 gigs of iCloud, and that's not enough." In the rumor news today, bloggers are complaining that the next iPhone (which, of course, hasn't been announced) will still come with a base configuration of 16 gigs (only four times the storage of the original iPhone! ), and, again, Apple should give people more. I use a lot of online and on-device storage. I know that, since I've been taking digital photos since the early days of this century, and was a user of flickr.com back in the days when you'd post a photo and could see it on the home screen of the site for an hour or so. I usually buy the largest amount of storage for devices, be they iPhones, iPads, or Macs, because I know at some point, I'm going to hit that limit, and I'd rather it be later than sooner. I pay for this, and have been since the iPhone 4 days. What I don't understand about this is that there is a huge number of people out there who think this is a limit they can do nothing about, like Apple is cutting off their options to get more iCloud storage or to buy devices with more onboard storage. Nothing could be further from the truth. Now, my mother uses her iPhone and iPad with iCloud, and is perfectly happy with 8 GB on her phone and 5 GB on her iCloud account. Of all the things she'll call me about, a storage overrun is not one. Same with my wife, and half of my kids. So, why don't users get more storage on their devices? Or why doesn't Apple have a larger minimum package? I think the reason is sticker shock. Here in the USA, we're just now getting used to paying full price for phones, and moving up another C-note to quadruple storage is not something people want to do. Carrier reps, of course, want you to buy an Android device with a storage slot, since they get a spiff for the phone, as well as the add-on sale of the storage card and the reader you'll need for your computer. As a comparison, however, let's take a look at two things people pay a lot for on a regular basis: vehicles and living quarters. Everyone lives somewhere. When you're deciding where to live, you consider several things: how much stuff do I have, how am I going to use my home, and where is it located? The first two also apply to your mobile communication devices: how much data do you want to have available on the device itself, and what all will you be doing with it? 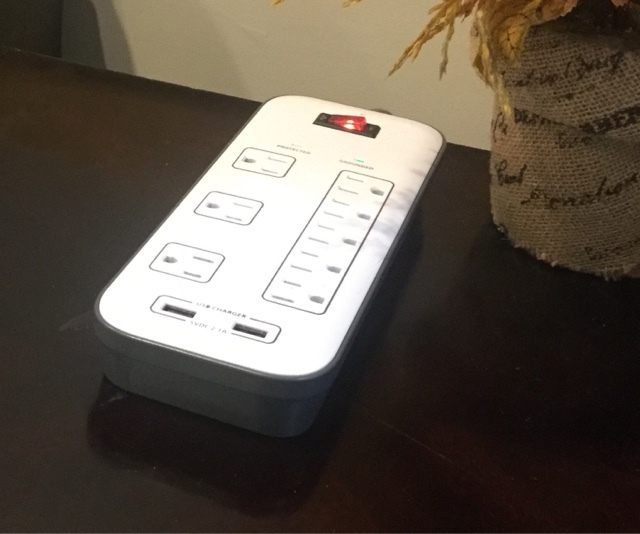 If you want to take photos constantly, or if you love having six different huge graphic-packed games, or you like to watch videos when you travel without having to stream them, my mother's phone is not going to be a good fit. You need one more like mine, with larger storage, because this is what you choose to do with your device. My mother should not have to pay more for her phone, just so you can have the phone storage you need. Same with vehicles. I love small, manual transmission cars. My current car, however, is not this type, because occasionally one of the other members of the family have to drive it, and we need four doors, in case all of us go in the same car. I made that decision at purchase, and picked out a car that would do what I wanted it to, not the cheapest one on the lot. One day, I might be able to get the little Smart Car I want, but not now. With the larger car, I have to have a larger parking spot, pay more for gas, and deal with all the other issues of a larger car, but it fits how I use my car. If I didn't like squeezing into a smaller car with my Lovely Bride, the dog and two other kids, this is not the fault of the dealer. I'd just have to purchase or lease a larger vehicle. If the 5 GB that Apple gives you is not enough, it's very cheap and easy to add to that amount of storage. For a buck a month, you can get ten times the storage. And, you don't have to sign a long-term contract. You can drop it after a month, if you find you don't need the space. Try getting out of an auto lease after 30 days! 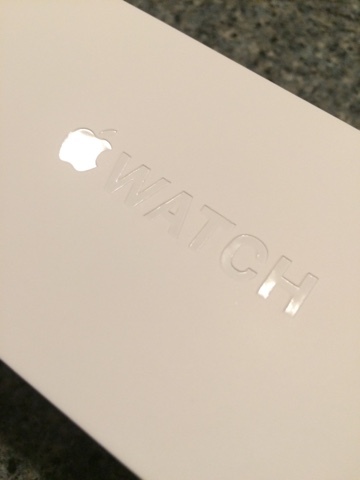 Yeah, I'm sure this comes as a shock, but I am now the proud owner of an Watch. I got mine about two weeks ago, and have been learning about it and integrating it into my life ever since. Initially, (the first partial day), I was worried that the battery rumors were going to prove true - that the runtime was less than a day. I took the charger in the car with me while I drove to a play with my wife and a friend that evening, and let me tell you, keeping the watch attached to a magnetically attached charger while riding in a car is not my idea of fun. Next day, while helping someone on the phone with their watch, I decided to hard reset mine at the same time. To do this, you hold both the side button and the digital crown until the Apple logo appears. This same process can heal any other misbehaving iOS device by forcing a reboot without saving the preferences as they are, but reloading everything from the storage. Problem solved. I've rarely set it on the charger at the end of the day with less than 30-40% charge still on it, and I'm still in that "new gadget" stage where I'm playing with it all the time. That said, I'm noticing some things about using this new gizmo. I'm not going to harp on missing features or 1.0 product shortcomings, but there are a few things I've had happen that you're sure to see as you integrate this new tool into your life. 1) Don't be afraid to turn things off and on. Glances and notifications, as well as third party apps for existing iPhone apps may work nicely, and may be a complete bust. Try them out, and keep your eyes peeled for updates. Sometimes, the developer acts quickly to add things as their own use of the watch with their app grows. If you decide not to use the glance, be sure to view the app and see if it has more useful information to offer. 2) Give the developers realistic feedback. They have a tough enough job executing their own ideas. Getting assistance from early adopters in the form of well-thought-out, constructive feedback and ideas can go a long way toward enhancing their vision of how to implement their watch app. The realistic part of the feedback is: Don't expect miracles. Saying something like "Well, if it can't monitor my blood pressure constantly, it's crap!" only makes you look foolish. Know the realistic capabilities of the hardware, and ask gently if these things could be implemented. Just because you paid someone a buck for their app doesn't mean they work directly for you. Same thing if you paid ten bucks. 3) Know how to give useful feedback. The developers I have worked with over the years have taught me this process, but I'm no longer a professional bug reporter, so feel free to add whatever you feel is beneficial to this list in the comments. * Give your hardware and software configuration. Always do this first, in case it's something that has already been fixed in a newer release or is an otherwise known error. * State the expected behavior and the unexpected behavior. "It's not working right" is not enough. "When I'm on the Glance screen and tap to launch the app, my watch reboots" is much better, in that it tells the reader where you are, what you did, what you expected and what happened instead. * If you have an idea or additional information, add that. "I was on a run, and my phone was back at the house, so wasn't near my watch when this happened. Then, when I got back home, it worked as expected." 4) Don't give stars for unpromised features. If the app says "a simple app for displaying text on your watch", don't get riled up and give it one star if you can't show movies, enter text, dictate voice, capture location data, or anything else. The developer promised a way to view text. Does it do that? If yes, then it's working. Does it easily allow you to edit the text on your phone and update quickly? That's great. If you cannot ever change it on your phone without deleting the app and redownloading it - well, that is a bit limited. But it's still within the range of the description. 5) The last thing I'll suggest is that you don't use the watch just because you can. I work at home, so my family is used to me talking to devices, but the other day, I got a text from someone and thought "This is a short reply" and just tapped the reply mic on my watch. I suddenly felt like everyone in the place was staring at me and I was holding a cellphone in a restaurant in 1995. Everyone was looking at me like I was from the future - and had antennae growing out of my forehead or something. No one wants to use tech that makes them look conspicuous, so better to just pull out the phone and tap out a reply, unless you're among those who don't freak out and you can just tell Siri "Things are fine here. Proceed with the invasion as planned." I doubt I'll turn this blog into a full app review site, but I've found a couple of apps that have Watch apps included, which I find especially handy on the wrist. In no particular order, here they are. This is a multiplatform app, with an online and group use functionality that is hard to beat. There's a pro version which adds more storage and projects, but for personal and small business use, the free version is hard to beat. On the watch, there is a Glance view for to dos, assigned tasks, and appointments. The app, however, gives you read only access to all your project tasks. Sub tasks can be entered on the phone or computer versions, as well as unchecking to dos, but the watch is read-only, with the exception of being able to check off tasks from any list. I find this great for shopping lists at various places, where I can re-add, say, almonds to the Costco list (via phone, Mac, or iPad). Then, I can check things off on my watch while in the store, without having to juggle my phone while grabbing those massive boxes of wine or bacon. This is a fairly new app for me. For all intents and purposes, it's a flat file database construction kit. You can put any number of fields in just about any format into any list. Then, as you enter records, you have the ability to sort and edit things on your phone. The watch app will only display the current saved version of the lists you have on the phone. There is no glance view for this, but you can see all of the values for each of the fields in each file. Personally, this is where I now store my current list of medications. It's very simple - med, dosage, active or not - and I can rattle them off to any medical person fast enough to scare them. Again, this is read-only. But if you're keeping up with serial numbers, server IP addresses, admin passwords…you get the idea. Talk about a one-trick pony. This app will do one thing - allow you to enter one screen of data on your phone, and have it be on your watch. How useful is this? Well, right now, I'm showing a two-piece screen which has the current charge of my phone and a nice picture of me and my Lovley Bride. I'm waiting until my phone has a better charge before going out, but I'm not sitting at the desk where it's charging. So, when I get to a new thought or paragraph, I hit the app on the watch, and see that it's - hey 41%! Started out at 25% just a few minutes ago. So, you have two different things you can send to your watch. The top third of the screen can be your iPhone's charge, or a block of static text. The lower two-thirds can be one of three things: your iPhone's current wifi network, an image, or a larger block of static free form text. And that's it, but it's quite nice, if you tend to forget, say, your garage door code, or your email password, etc. We all hate passwords. They are the 21st century equivalent to plowing the south 40 with a slow mule, or beating the rugs out in the backyard, or mucking the stable. This program had enabled me to have passwords easily at hand for hundreds of accounts, with nothing more than - wait for it - one password to remember. And, with TouchID, I only need that one when I restart my iPhone or iPad. With the Watch, there is now the ability to have certain passwords on my wrist as well. The Lovely Bride, as I've stated before, is not a Luddite, but definitely prefers to not use technology if there's a serviceable method available in the analogue realm. But, when she needed a password and all I had to do was pull up this program on my watch, her jaw dropped, and she said, "Now, that would make me want an Watch." I rest my case. While at the urgent care center for suspected strep throat, I read an interesting article on Time Magazine's site about the group Privacy Grade. This project, based at Carnegie Mellon University, looks at smartphone apps and grades them on their level of privacy violation. There are highly granular tests that are performed, and links to third party libraries are documented for the "worst case scenarios", but the permissions given are all very real. You have to decide if getting that extra spin in a game is really worth ad networks finding out how often you are playing, and who your friends are and, in some cases, your call history and web browsing history. Many of the apps are GooglePlay versions, which makes me think there are few if any iOS apps in there, but the ad networks accessed give the most access, and all it takes is permission, even if you think the app developer is okay. Once those gates are opened, the information is out there, whether it's used or not. And there's money in it for someone. What took you so long…? Having lived in Durham, NC for the past two years, I've been relentlessly exploring new places to eat, drink, hang out, and generally enjoy the vibe of this progressive and incredibly diverse Southern town. Over the past few days, I've looked around the lesser-known blogs and Twitter feeds to find things beyond the obvious. One place I've seen time and again, but missed because it's a bit off my usual stomping grounds is the Old Havana Sandwich Shop. The owners of this downtown lunch spot are committed to making the space friendly, tasty, and welcoming. I stopped in today, between snow storms, to grab a bite and try out their coffee. I'm happy to report that both are wonderful! Unfortunately, the sandwich, (El Caney - pork, avocado, cheese, mustard, and the ever-present mojo sauce) disappeared before I even thought about taking a photo. My after-lunch Café Cubano and Mantecaditos, however, stayed around for a few minutes. While I was enjoying the afterglow of my repast, the owner came in and spoke with one of the guests, obviously a friend. I caught the pic below just because the hat, stance, and background decoration so perfectly captures the ambiance of this eatery. If you're in the downtown area between 11 & 3 on a weekday (closed Mondays), you owe it to yourself to try it out. I'm going to bring the Lovely Bride here on a Sunday for brunch and see if I can tear her away from our usual breakfast-y haunts. I'll report back here and let you know how it goes. We all say it. We're scratching the grateful ear of a canine, talking in falsetto about this dog's ranking in the list of all dogs worldwide. It's a silly thing, but almost universal. My Lovely Bride and I just celebrated thirty-three years together as husband and wife. During this span of years, we have owned 4 dogs - three Shelties and a Rough Collie. The latest addition, Jack (shown above), came to us almost by accident. 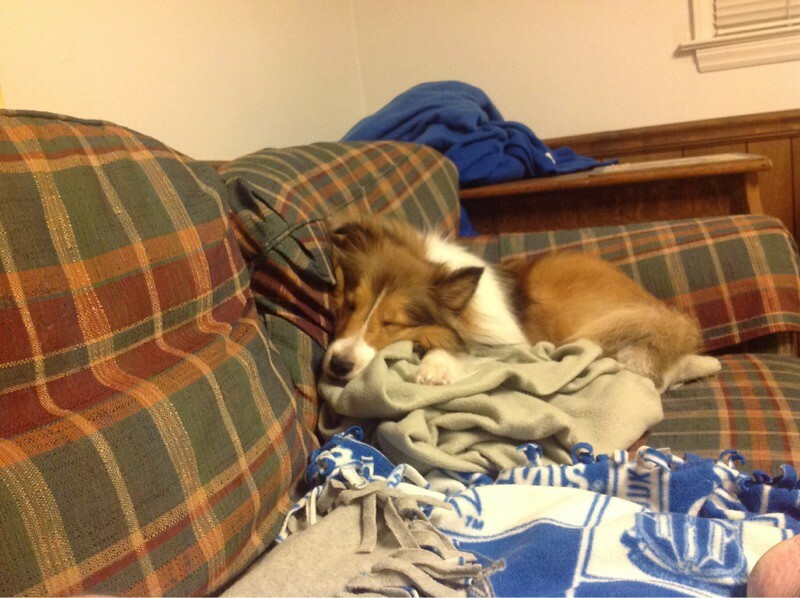 We have a local breeder, from whom we had gotten our previous Sheltie, Duncan, over a decade earlier. Duncan had been a tough cookie, and I think I was the only one truly saddened when he finally passed. He had no real health issues, got around well, and, other than being mostly deaf and quite nearly blind, was just fine. He was just cranky to most folks, other than me. But, one morning, he didn't stir when The Lovely Bride went into the kitchen - so it goes. So, a few months after speaking with the breeder (who works at our vet's office) when we took in Duncan's remains, she called and asked if we were still interested in getting a male puppy. I replied yes, without even asking TLB. This pup, I was told, had beautiful markings, a great personality (as best one can tell at six weeks! ), and, like all her dogs, a phenomenal pedigree. But, at his first puppy checkup, the vet noted that he had an underbite, so would not be show quality. The breeder was quite upset, because she had mentally already started to "grow him out" for show and breeding. Her loss was our gain. Jack is, by far, the best pup we've ever had. He's been sleeping in our bed, (as all of our dogs have done) since just a few months old. He has a cautious friendliness to everyone he meets, human or canine. He has a way of sitting underfoot when I talk with friends or repair folks that just warms my heart. He's sitting by my chair as I write this, even though it's a rocker on the front porch. He'd rather be beside me, close enough for an occasional ear skritch, than off by himself, rockers be damned. He is, it turns out, the Best Dog in the World! It's not exactly a new thing, but it' still far from mainstream. Sites like KickStarter and IndieGoGo enable normal folks with (what they think is) a great idea the ability to "pitch" it to the whole world, and see if they can get funding to move on to the next step. I've supported several, from those wanting to assist inner-city young women of color to experience the joy of creating a working software project (Black Girls Code) to things as simple as the latest one I've backed, the "Loopy" a multi-tool for your belt loop. My favorite coffee shop started out as a KickStarter project, and has raised money for a second location that way as well. We've seen several other café's, food truck to diner conversions and such in Durham over the last year or two, in addition to the huge number of shops and businesses that have started, or failed, due to funding. I encourage anyone who has an interest in funding the future of American commerce and industry to look though these sites and find something that you would love to see flourish. You may just be helping the next Apple or Google. 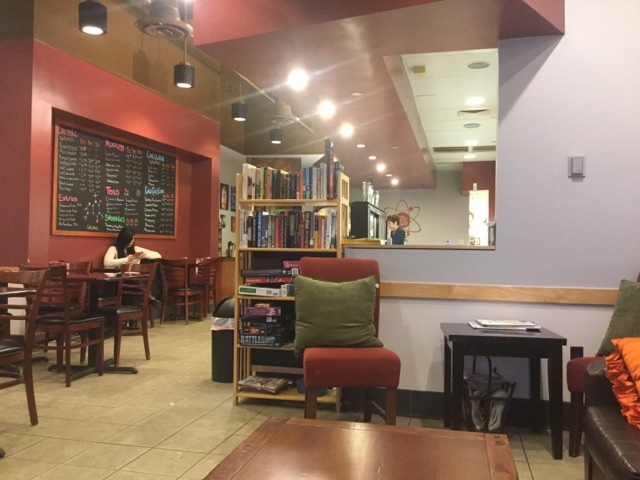 Or you may just feel more a part of your local coffee shop when you walk in and they serve your latte in a mug they keep on the shelf for "Our Founders." I'm becoming a wimp. I used to thrive in cold weather. Give me a coat, wool socks, a scarf, and a pair of gloves, and I could deal with anything. Lately, however, I've noticed that I'm much happier over 30° or so than I am below. And once you get into the teens, well, forget it! Sitting outside with a friend at Cocoa Cinnamon (which is, appropriately enough, at 420 West Geer Street - you can't make this stuff up), he and I were both zipping up jackets, pulling collars up, and generally less than comfortable, even though the setting sun was lighting up the place. As soon as I saw there were seats available, I suggested relocating, and he jumped at the chance. It's much nicer in here! I took the plunge a few days back and bought an iPad Air 2. After the last post, it even surprised me. So far, it's not that much different, except for TouchID and ApplePay. The slight improvement of TouchID is one of those things that, until you use it and get used to not entering a passcode, seems like nothing big. Once you pick up a device that doesn't have it, however, you start to see just how pervasive biometrics will be. I still try to open my work iPod touch by just touching the home button. ApplePay on the iPad, while slightly limited, is great, in that all transactions on your card are immediately reported to your device. Last night at the iOS user group meeting (Check out our group page!) I got a notification as the waitress rang up my order. Sitting here among all the glowing 's of student MacBooks, as soon as I got on wifi, my order showed up as a notification. I can't let the Lovely Bride get hold of this!